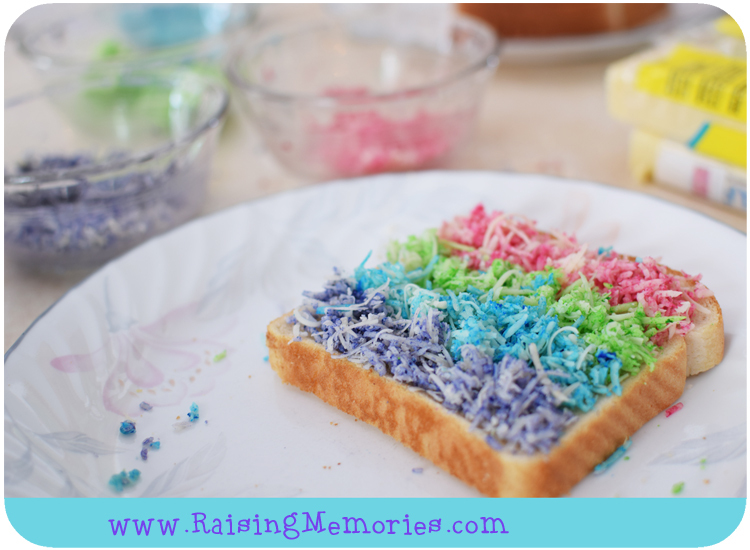 Butter the outsides of your bread and place your cheese on the inside of the bread, lined up in rainbow stripes. Grill your sandwich on a frying pan (if you use a sandwich maker that pinches the middle of your sandwich, you won't get as nice of a view of your rainbow cheese when your sandwich is in half). What a great idea and a fun lunch! I wonder what other foods you can make with colored cheese (rainbow lasagna?). Thanks for sharing! I love this idea and I know my kids will too. It looks like we'll be having some fun with our food during Spring Break next week. Thanks for joining this weeks Creative K Kids' Tasty Tuesday. I can't wait to see what you share with us next week! Such an yummy and fun idea. I should try this at home. I am pretty sure the kids are going to love these! Thanks for the freat post. My daughter is getting into that "picky eater" phase! I have to try this in efforts to improve her intake! I never thought I'd have a picky eater! Let's hope she loves this idea! What a neat and fun idea! I have not seen a grilled cheese as colourful as this before...love it!! A delightful and creative looking sandwich I will be happy to try out at home. This is a fun way to get kids to eat their lunch. I can't believe how creative you are because I would never of thought of something like this. This looks like something the kids would love. I never would have thought of doing this but its very interesting and makes you wonder what else could be made like this. 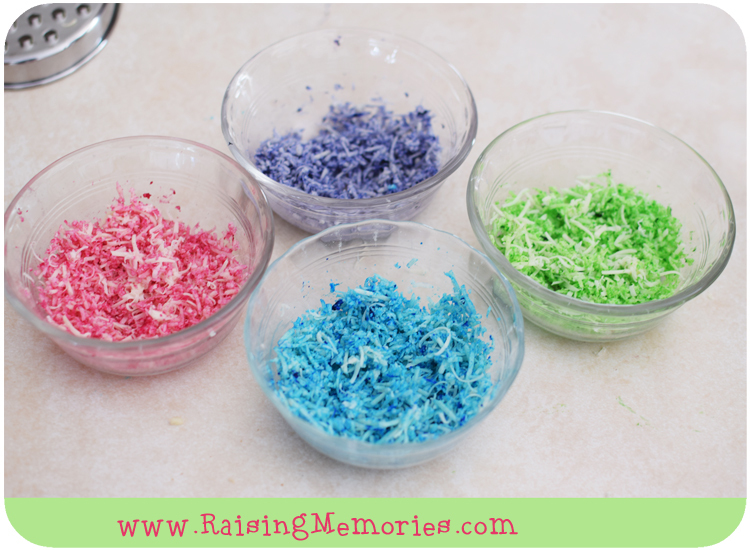 Fun Unicorn food! To please everyone! This looks so fun! My daughter would love this on her birthday I bet! This is one funky grilled cheese! I love it and will do this for my grandkids very soon! This is so fun! 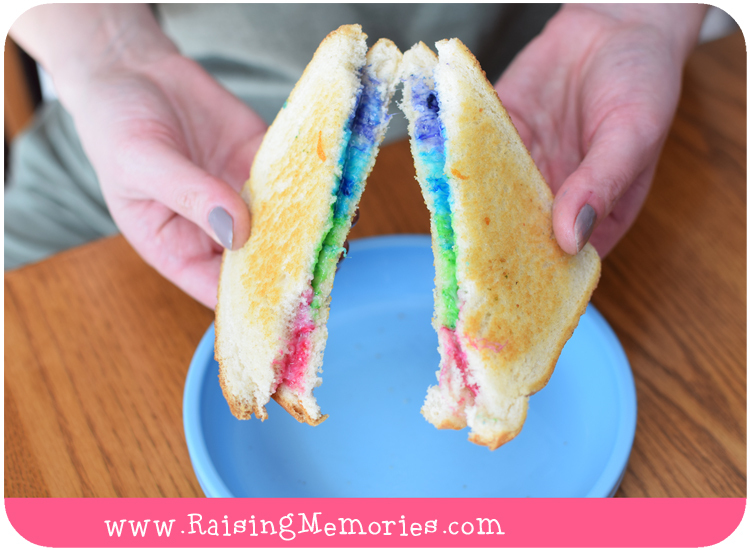 I have seen lots of rainbow desserts, but not grilled cheese until now - awesome! Oh boy, my grandson loves grilled cheese sandwiches, I can't wait to surprise him with one of these! Thx very much for the recipe. I know a few little ones that would think these grilled cheese were amazing! Thanks going to keep this one for a rainy day the kids will love it! Yum-both beautiful and comfort food! not sure how I feel about this....looks fantastic tho.